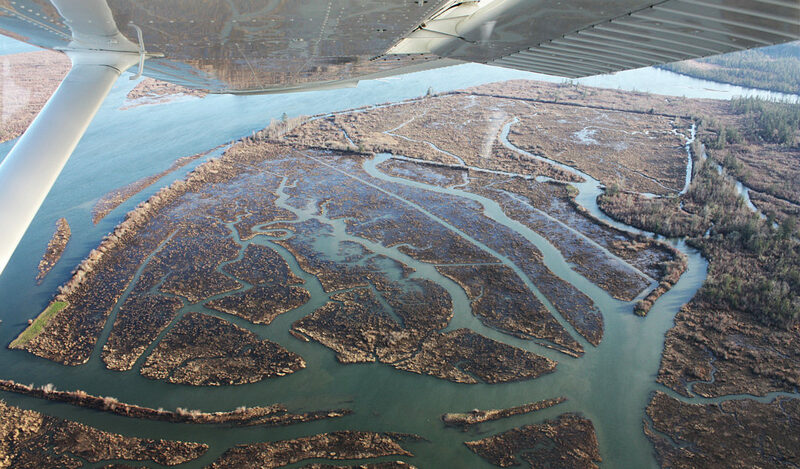 Statewide contracted with the Columbia River Estuary Task Force (CREST) to supply supplemental mapping data to support the design for breaching and lowering of existing levees. Karlson Island, located in the Lower Columbia River Estuary — and part of the Lewis and Clark Wildlife Refuge — was diked in the early 1900’s. Upon completion of project design, staking and construction, the project restored over 300 acres of estuarine wetlands.